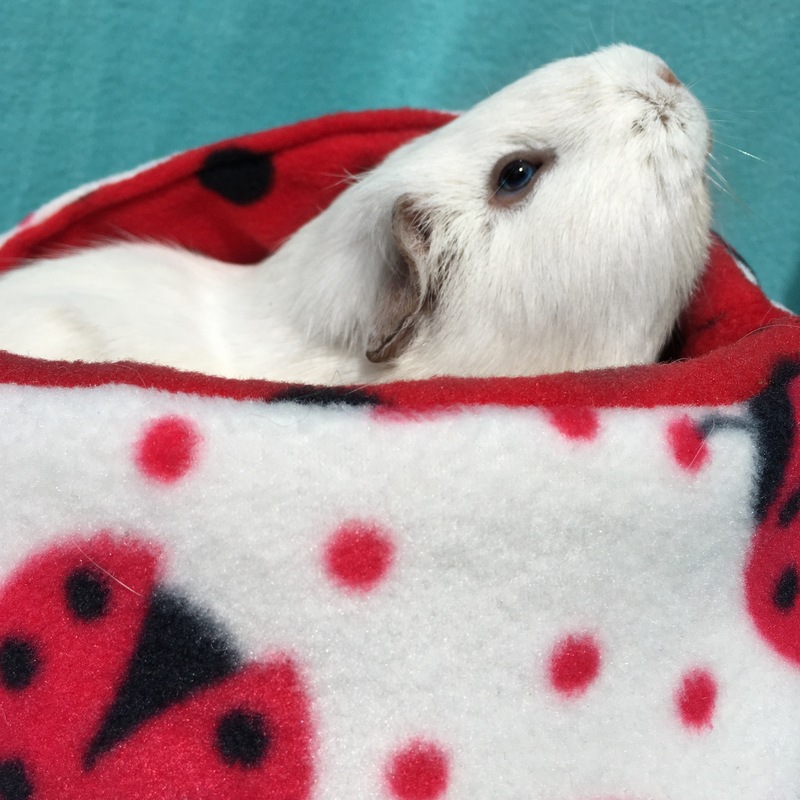 Today we are reviewing Piggies In Blanket’s Piggie Pods. What is a Piggies In Blankets Piggie Pod? 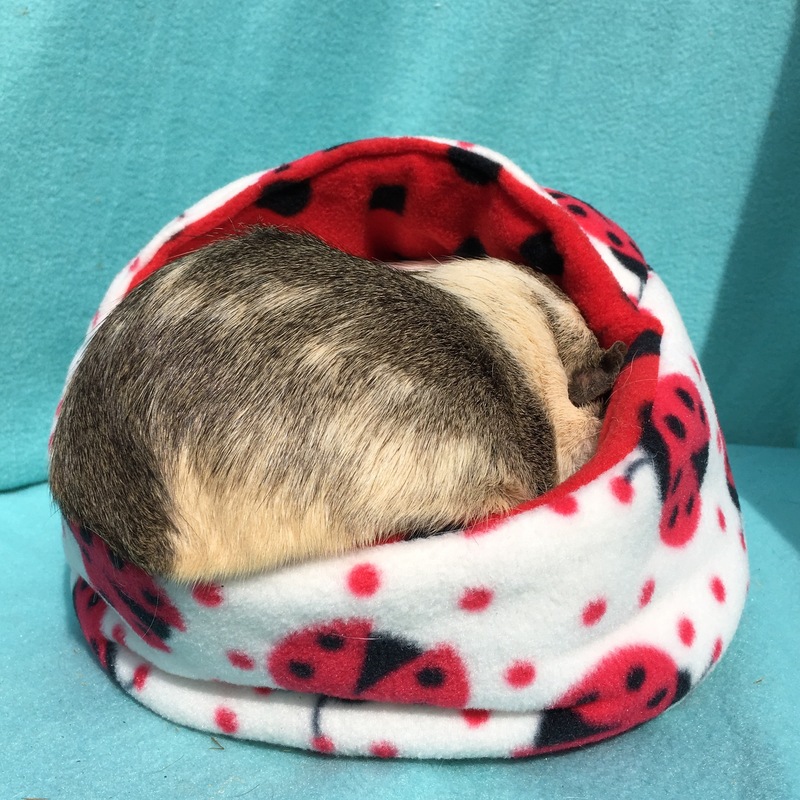 A hooded fleece Guinea Pig bed. 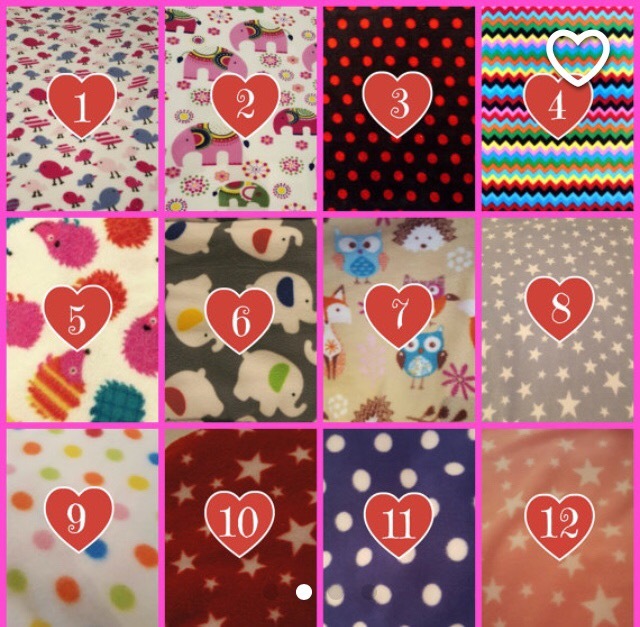 Customisable (pick from 22 colourful fleeces). 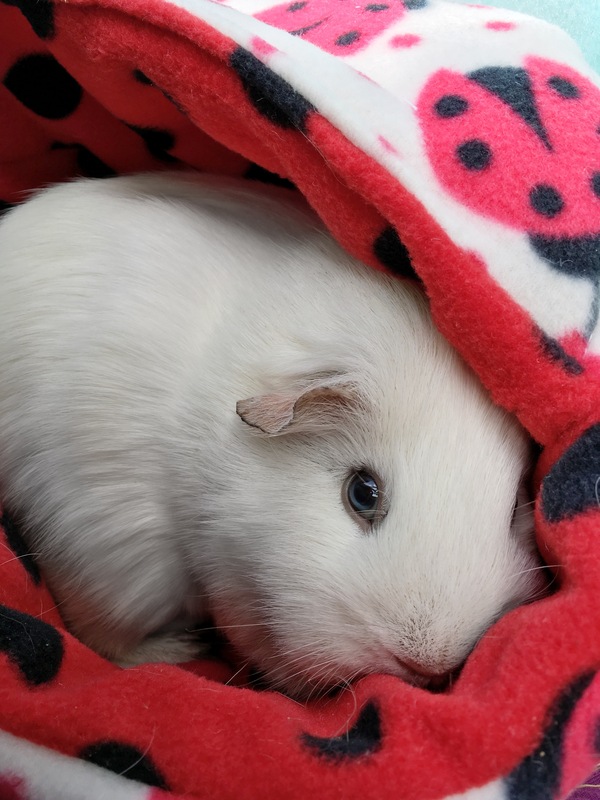 What can my Guinea Pig do with a Piggies In Blankets Piggie Pod? Princess Bagel-Baby… too snuggly for words. The Piggies In Blankets Piggie Pod is a really lovely cuddly bed. Princess Bagel-Baby – Piggie Pod lover. 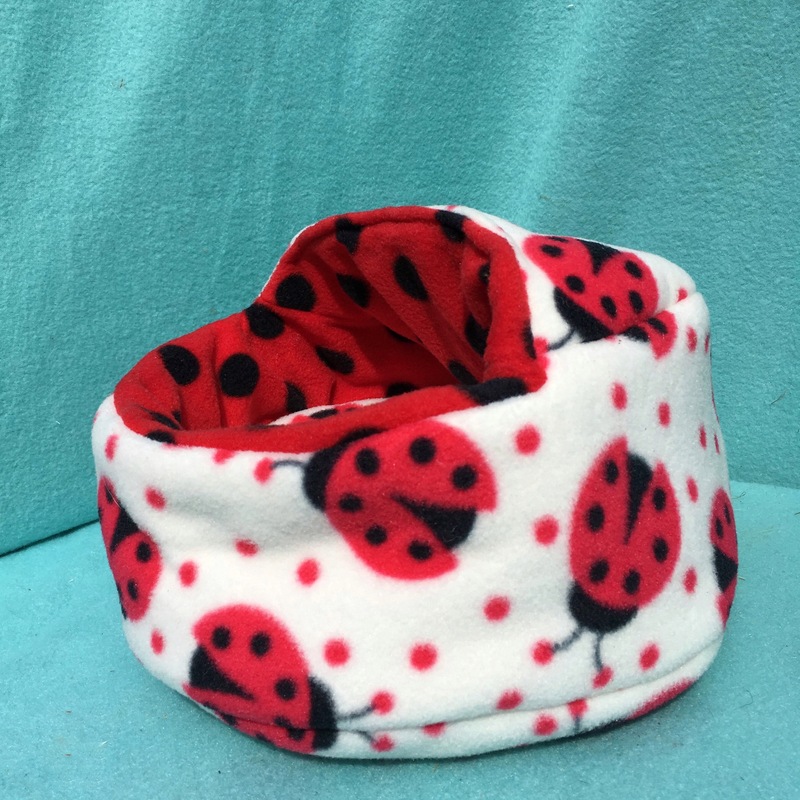 The hooded design means that timid piggies get to feel safe, secure and snuggly. Although a favourite feature in our large herd’s cage the Piggie Pod would be a lovely way for nervous children or inexperienced owners to hold a piggy in their lap for bonding. 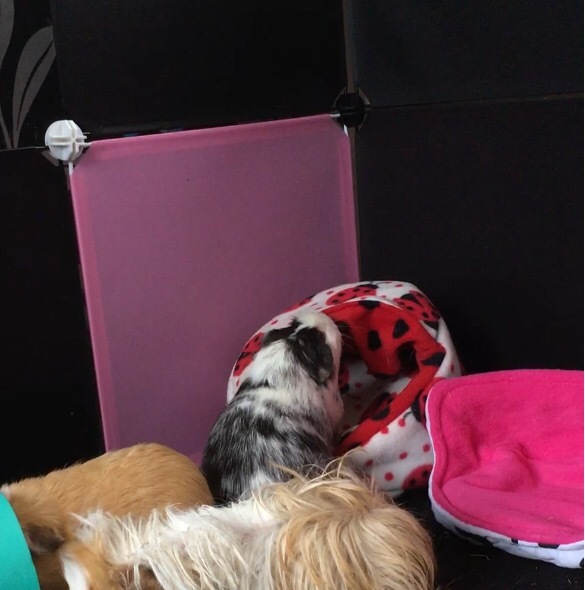 As with all Piggies In Blankets products you get great customisation option with a Piggie Pod. With over 22 fleece options there is something for every cage and colour scheme. 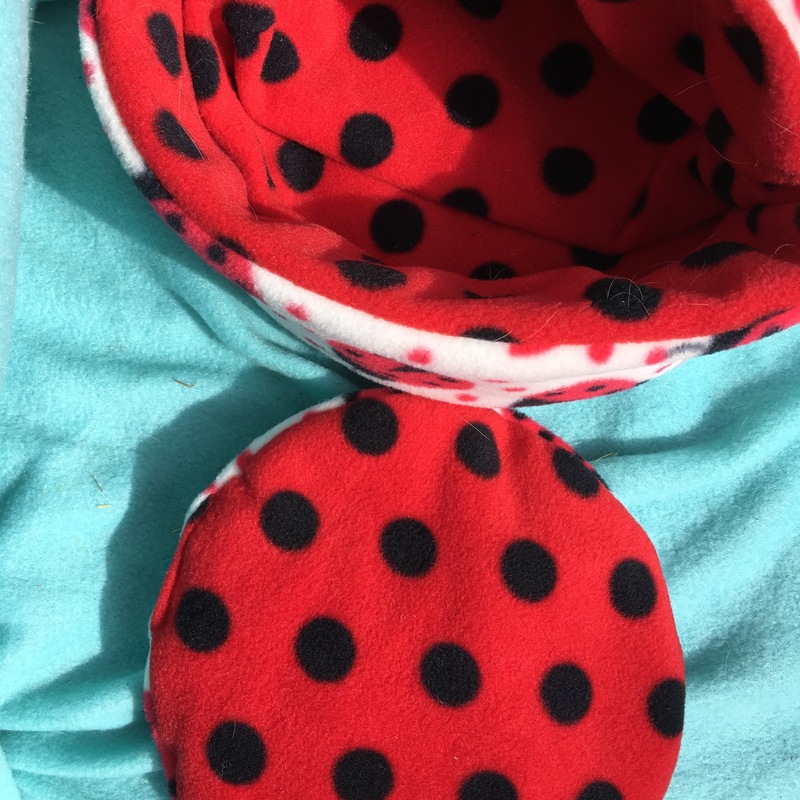 My eldest daughter was particularly pleased with the ladybird/bug spots because it reminded her of the animation “Miraculous Ladybug”. Piggie Pods are well designed, sturdy and because each one is handmade you can be assured that the quality control is second to none. Sizewise; there is room for one large piggy or two smaller ones. My girls are quite ’round’ and there was (nearly) enough room for both Princess Bagel-Baby and her sister Doughnut to share (see pic above). They were comfy apparently! Complete with removable & reversible pad. 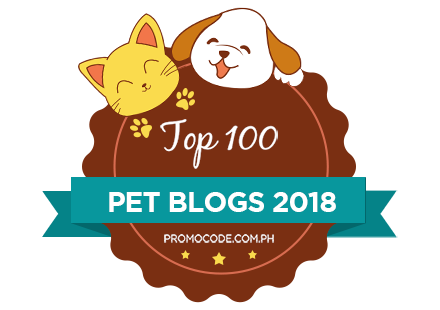 I particularly liked the removable and reversible pee pad which helps the Piggie Pod stay fresher for longer, which is always good! We all really love this little bed (especially Princess Bagel-Baby). The Piggies In Blankets Piggie Pod is cute, cuddly and customisable. 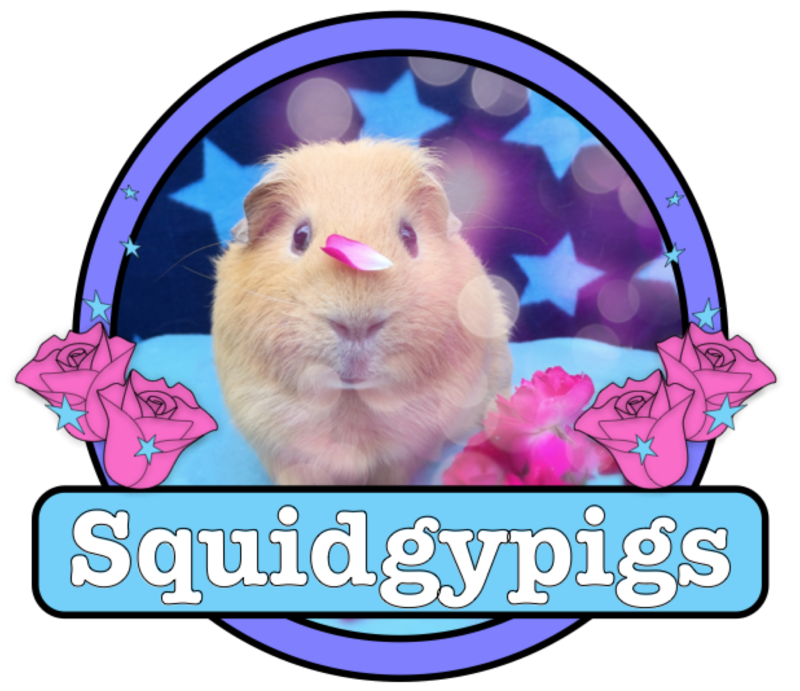 Please note: Piggies In Blankets were kind enough to send the Squidgypigs this Piggie Pod for review. 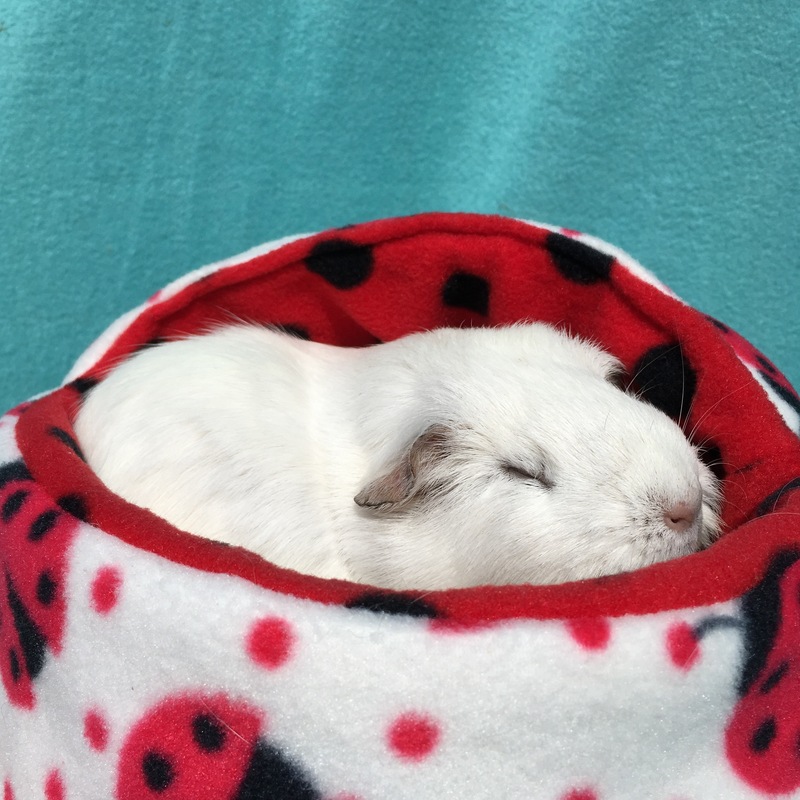 If you would like to know more about Piggies In Blankets please visit their website here.